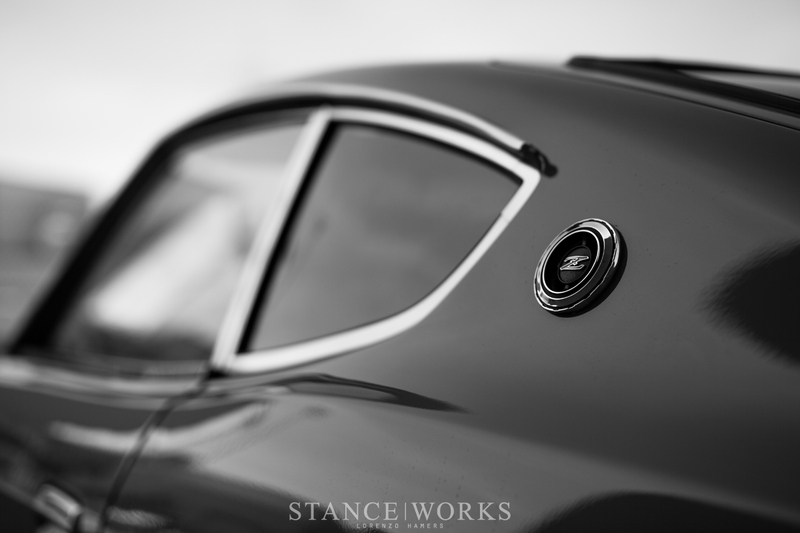 It's widely agreed by American car enthusiasts that we got the short end of the stick - it almost always feels as though our friends across the ocean - in all directions - got better cars that we did. Whether it was emissions, crash test regulations, or simply market demand, the '70s, '80s, and '90s provided unparalleled allure for cars afar. However, as the saying goes: "We always want what we can't have," and the same rings true for car enthusiasts around the world. It's somewhat hard to imagine that others, elsewhere in the world, would want to export cars from America to their own country - especially those that are not American-made. 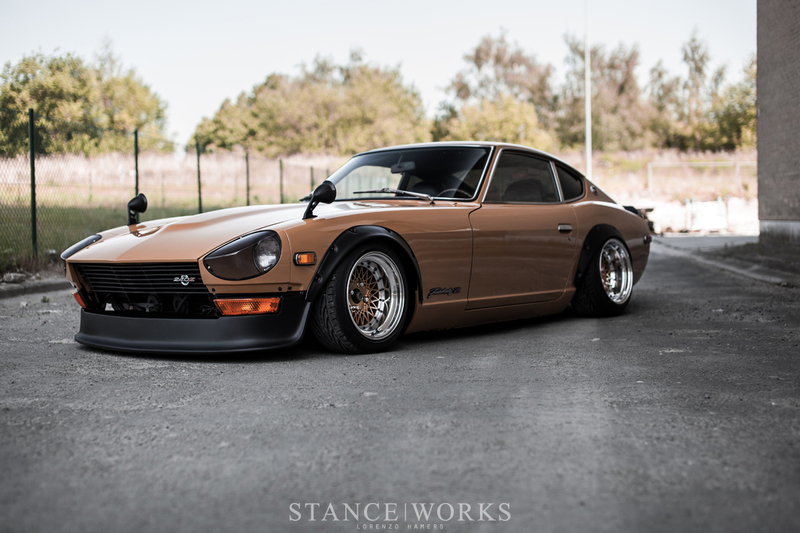 However, it does happen, and for John Sandras, it provides the basis for hunting down the perfect Z.
John Sandras had no doubts about what he wanted - in fact, it was rather simple: a Datsun 240Z. 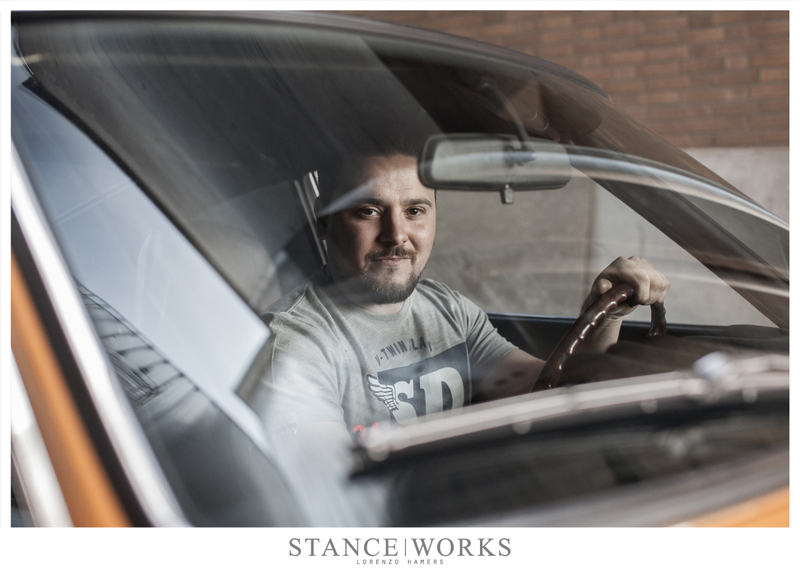 His love for the car began all the way back in 1993, beginning with his first job at a Belgian garage. Now, 21 years later, he's managed to put his dream car in his hands, but not without some trial, error, and legwork. 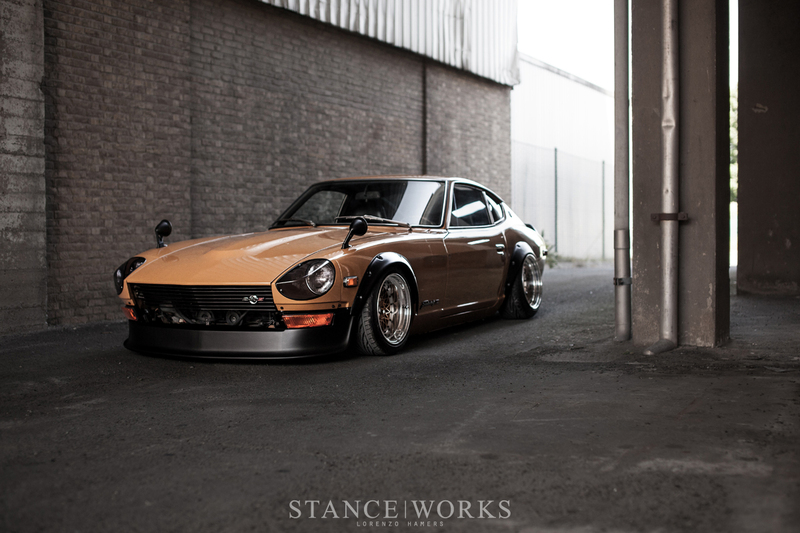 John's hunt began in 2008 with what was easiest to track down in his region: a 280Z. 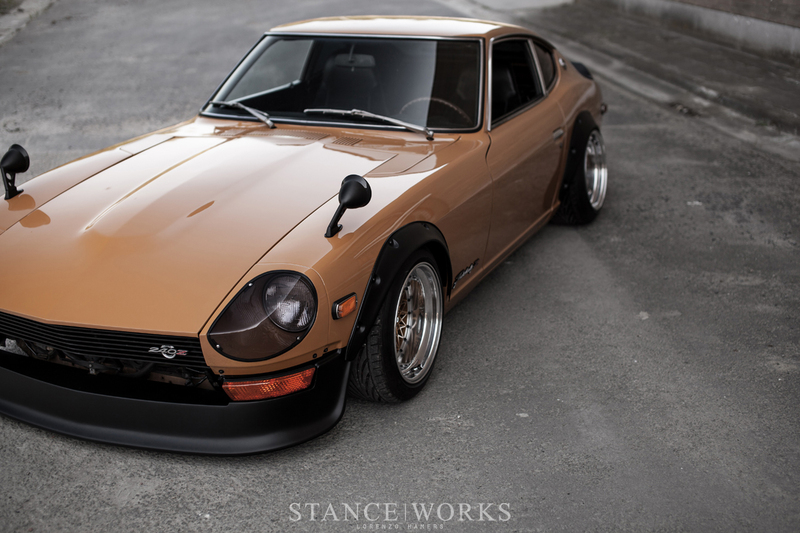 Hoping that the difference between it and the 240Z he truly wanted would be negligible, and that his desires for the more-classic Datsun would subside, he found and purchased one. Unfortunately, his hope fell through; the car didn't cut it, and he sold it shortly after, in turn nixing the search for anything but a 240Z. Some time later, John tracked down what seemed to be a promising example - a blue 240Z in Holland, 500KM away. After a long drive, John was met with a car far rustier than the seller had implied. 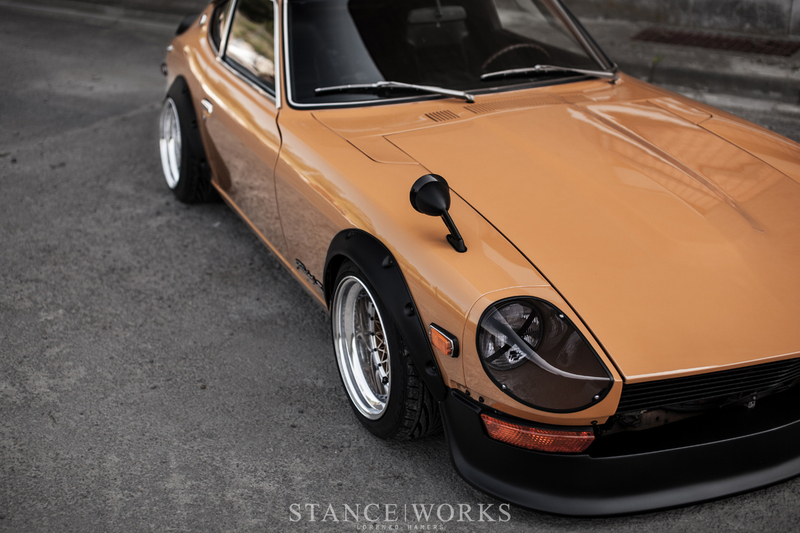 After mulling it over, and weighing the pros and cons - the car he truly wanted, versus the work that lie ahead, he made the gut wrenching decision to turn around and drive 500KM back home - without the Datsun. It was a good thing he left the Z behind, because the following day, another advertised car surfaced online. After making a phone call to inquire further about the car, and establishing where the seller lived - of course, back in Holland, just 10 miles from the seller of the blue car - John readied to make the 1000KM round trip once again. 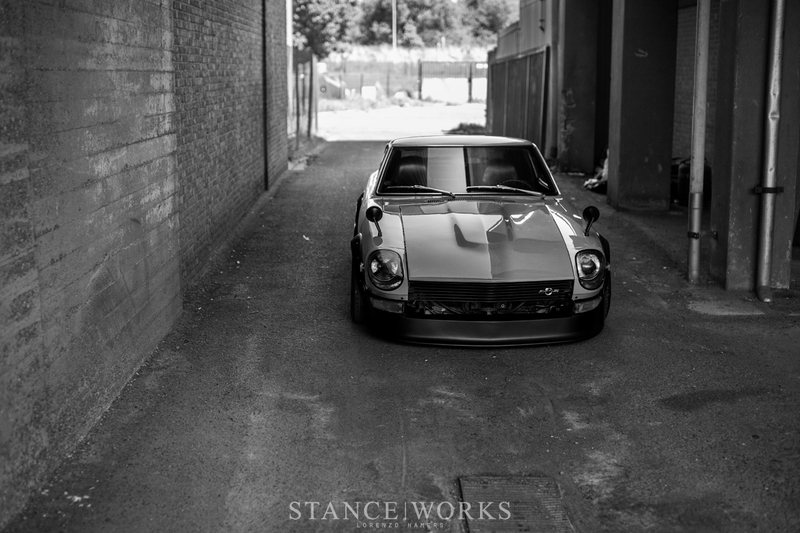 With classic Datsuns as rare as they are in Europe, John pried into the history of his newly purchased '71 Z. After sitting in storage for seven years, the car was imported to Holland from Arizona in 2012, which helped explain the lack of rust and the overall shape of the car. Despite its great shape, John and his brother Greg got to work almost immediately. What little rust there was on the car was removed, with patch panels welded in and everything smoothed to a nice finish. 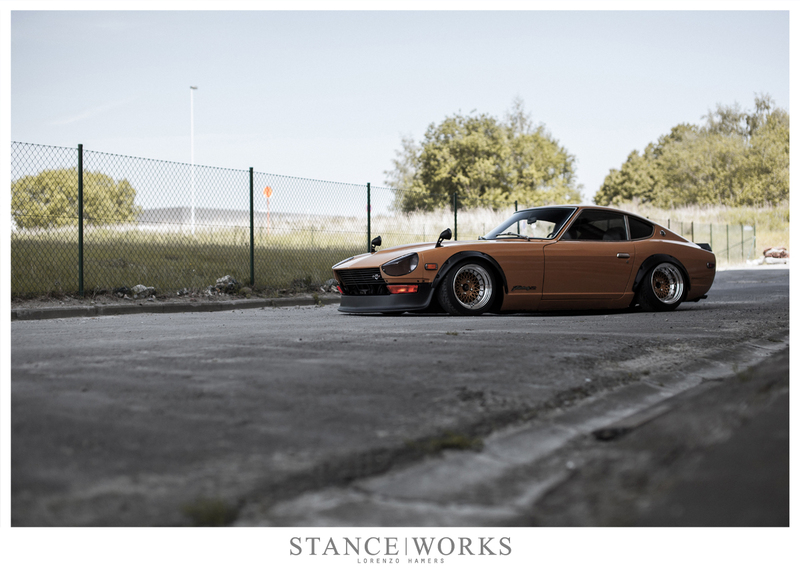 Continuing with the metal work, the duo cut the fenders of the car and fitted a set of fender flares, as the 240Z arguably looks lost without them. 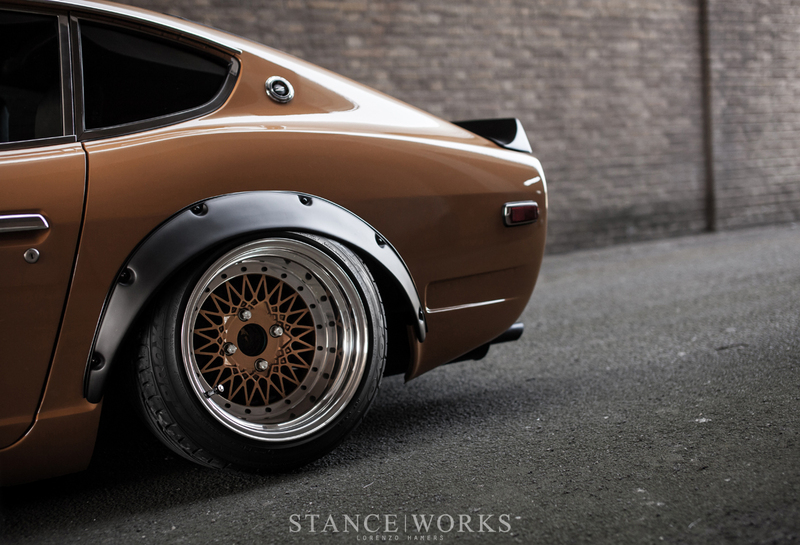 A front air dam, and a spoiler from the 260Z were fitted front and rear, fresh Fairlady emblems were mounted, and iconic fender-mounted mirrors were fixed in place. After styling the car to his liking, the car was painted by his brother, and then reassembled. Inside the car, a black interior keeps things period correct, with subtleties added, such as a flocked dashboard, console-mounted gauges, and refinished trimmings. 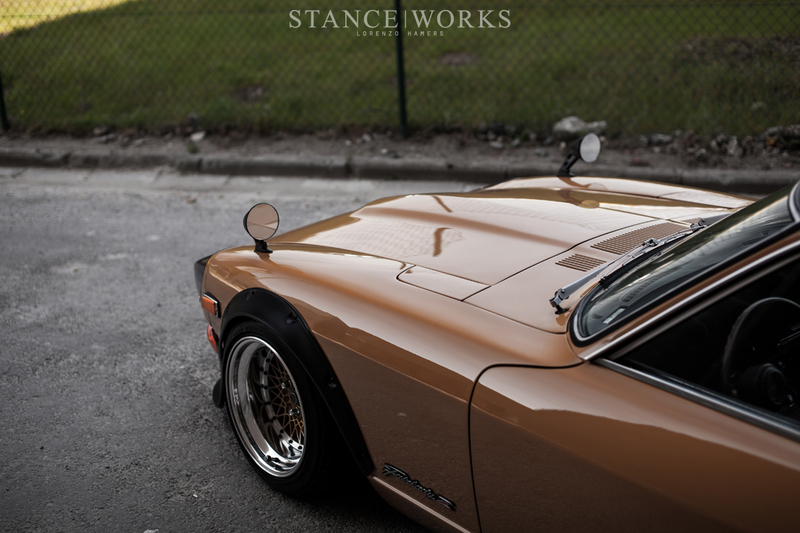 Underneath the car, the custom work continued. With the details lost in the language barrier, John sourced an air ride setup fron a 2006 E60 5-series BMW - for what reason, we may never know. Nevertheless, after extensive modification, the system works - and well too. Paired with the air suspension is a set of old Compomotive meshes. 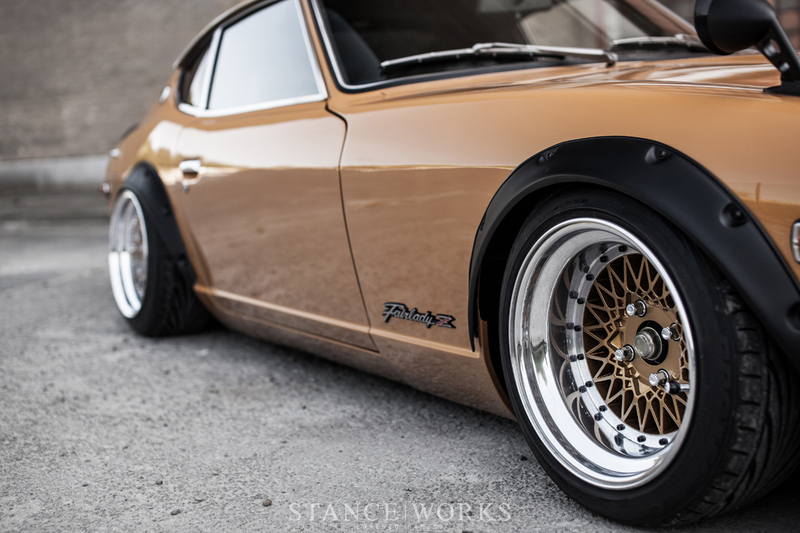 Sourced from France, John took the 15" 3-piece wheels apart for a complete rebuild. Original 8" wide in the front and 9" wide in the rear, the rebuild specs tally out to 9s and 10.5s respectively. Lastly, John's brother Greg once again did the paint work, color-matching them to the car. For those of us that get our hands on overseas cars here in America, there's something special about it, even if we have similar models stateside. 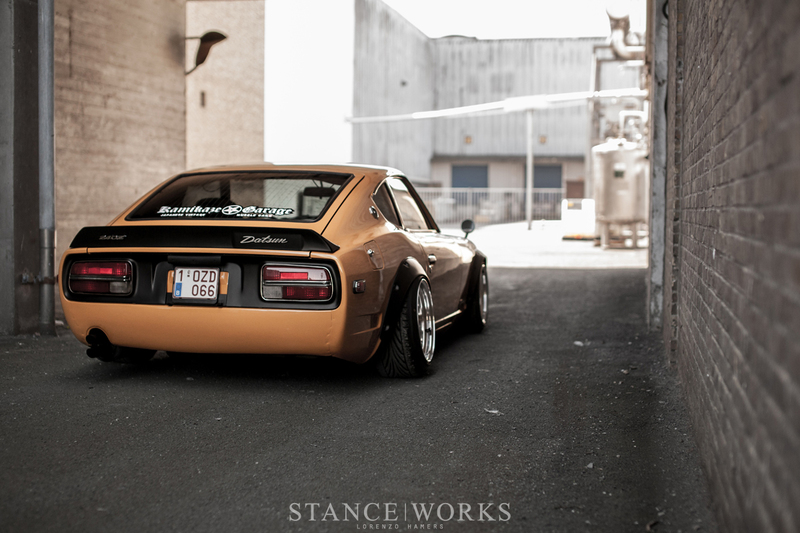 For John, the same is true - his 240Z is spectacular on all counts, and made all the more special by its across-the-world journey. Through hard work and patience, he found the right car for him.